Beautiful wooded tract of land located in an area of custom homes on acreage properties. Harbins Park adjoins the left property line, property has very adequate road frontage, possibility of division if approved by Seller. The property has regenerative scattered timber on the front and the balance is heavily wooded. Sought after Archer School District, close access to shopping in Gwinnett as well as Barrow Crossing. Property currently has several greenhouses located on the front of the property, in which present Owner once operated a thriving business. 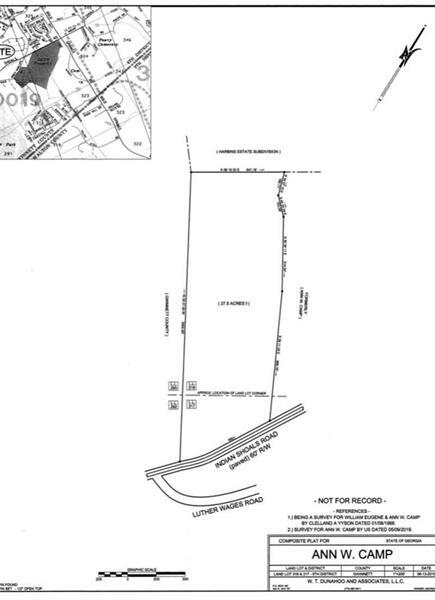 A representative from Metro Brokers has received your request to visit 2 Indian Shoals Road on at .